Oh yeah, this looked good on the shelf, and tasted bloody good in my mouth. I’ve got a renewed interest in white ales. This one has a real nice citrusy/coriander taste, and for a guy who didn’t like coriander, I bloody love it. Its a bit cloudy and has lovely lemon tones. I could drink this every day. Its a cracking beer. 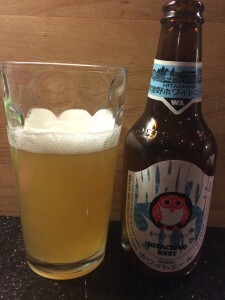 This entry was posted in Uncategorized and tagged hitachino, white ale. Bookmark the permalink.